Enjoy some great Tex Mex with this gift certificate. 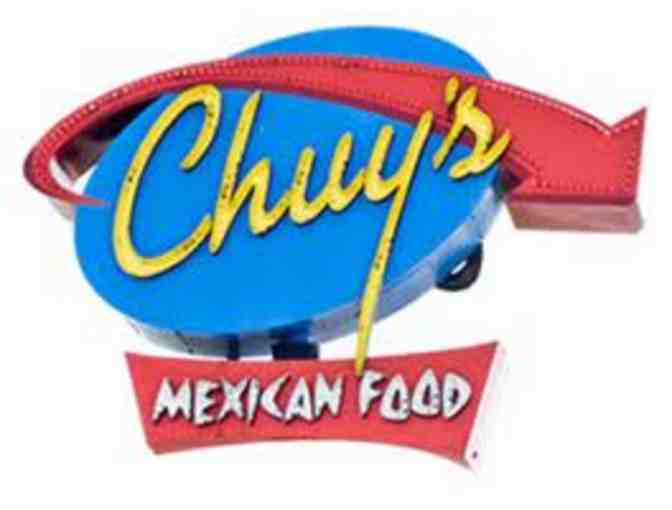 Good for dinner for two at any Chuys. Excludes gratuity and alcohol. No expiration.